so you can enjoy what really matters in life. Good oral hygiene starts with regular dental cleanings. 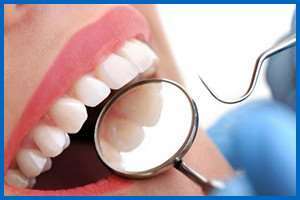 Regular teeth cleaning helps remove plaque and tartar build-up, which contribute to periodontal disease. We recommend all patients schedule a 30-minute appointment twice a year. 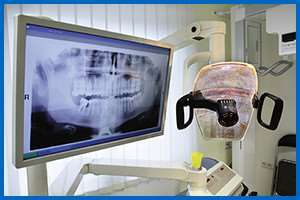 Dental x-rays are essential diagnostic tools that provide valuable information to evaluate your oral health. We also have a 3-D scanner that allows us to evaluate any area of the mouth in much greater detail if necessary. Whenever a tooth is badly broken down it becomes necessary to do a crown to protect the tooth. A crown goes over the tooth and prevents it from breaking or decaying further. 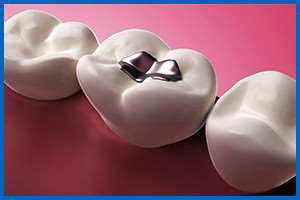 We offer esthetic crowns made at an excellent local lab. We offer several different methods of whitening according to your needs. 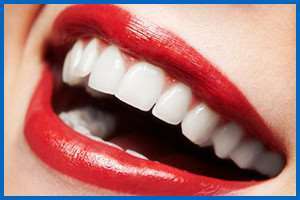 Our team is very passionate about working with you so you can have the smile you have always dreamed of. A treatment to save extremely painful or infected teeth. Root canal therapy is when we clean out the vessels and nerves of the tooth and replace them with a rubber material called gutta percha. 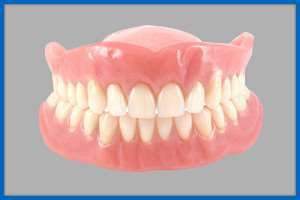 We offer a variety of dentures to treat patients who are missing several teeth or wish to dramatically improve their smile. We offer several styles each with its own distinct advantages. 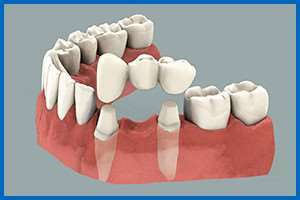 Dental bridges are done when a patient is missing a tooth or teeth and wants to fill in the space. 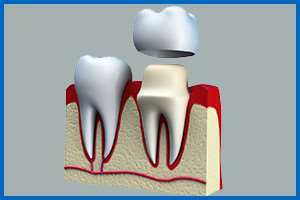 We file down the teeth next to the empty space into posts and make a bridge that fills in the space and looks natural. 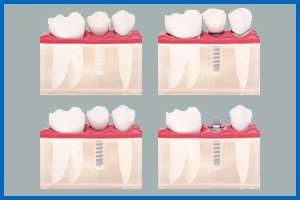 Dental Implants are when a screw is placed into the bone in an area missing a tooth. 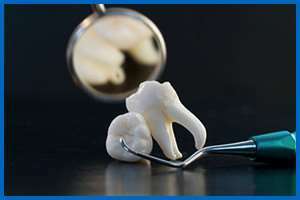 Once the bone has healed around the screw a porcelain tooth can be connected onto the screw, thus restoring function and esthetics into the area. Many people grind or brux at night, especially when they’re stressed out. 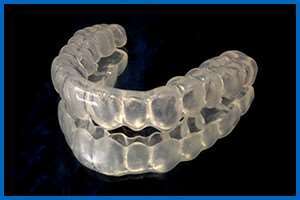 A nightguard protects your teeth so that you can’t damage or break them while you are asleep. If you notice your teeth flattening out quickly or are waking up with consistent jaw pain, ask us to help. We would love to meet you. Schedule your free consultation today!